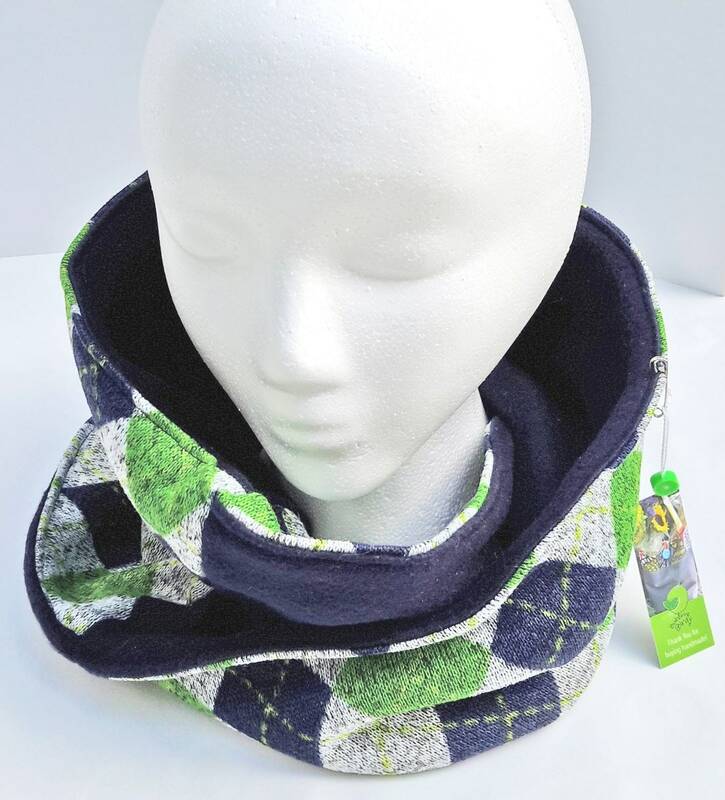 Warm and easy-to-wear! 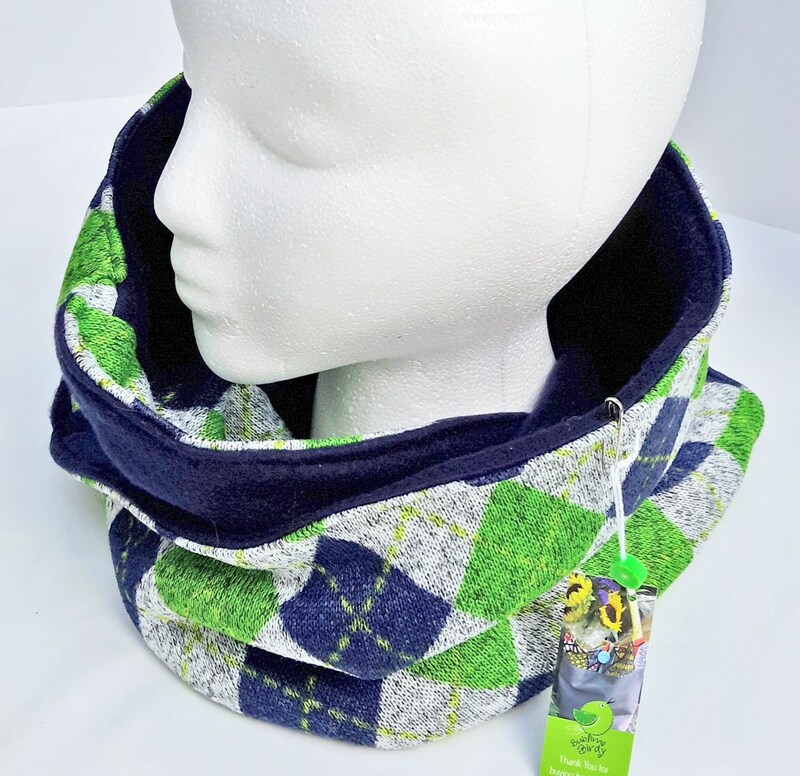 Look good in the cold weather with this sweater fleece mobius (with a twist) shaped scarf. 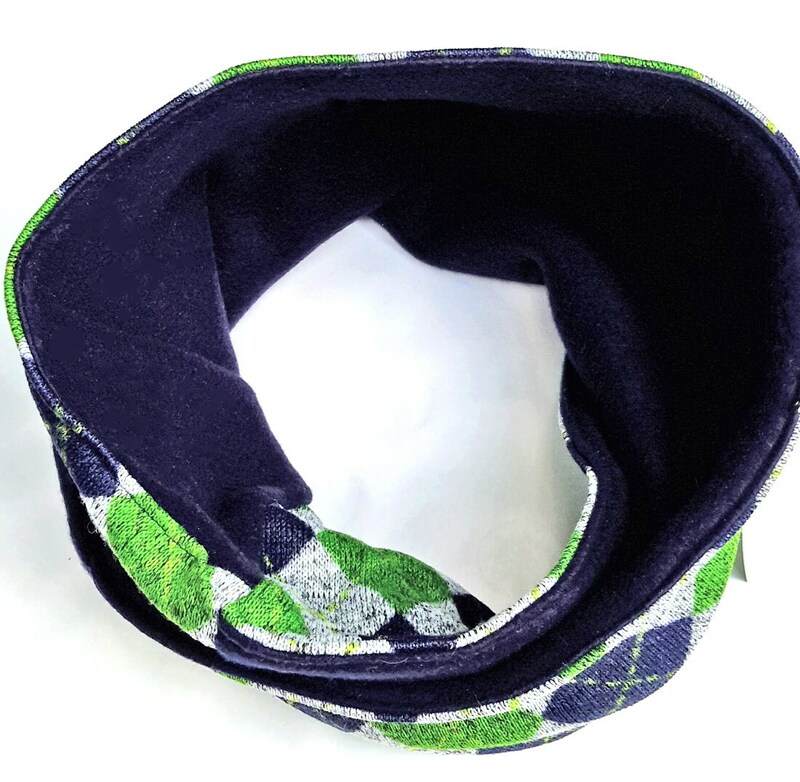 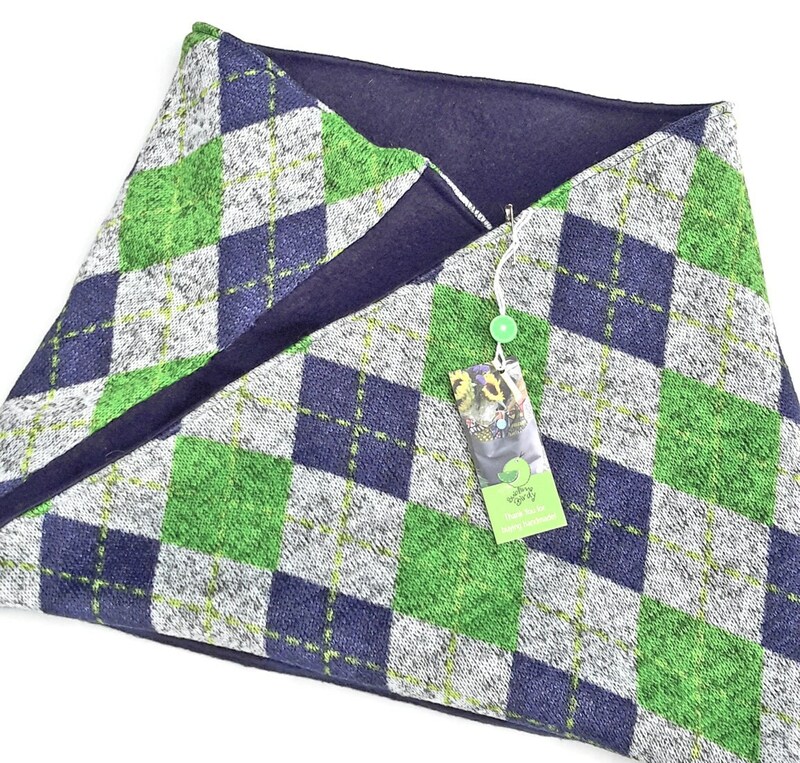 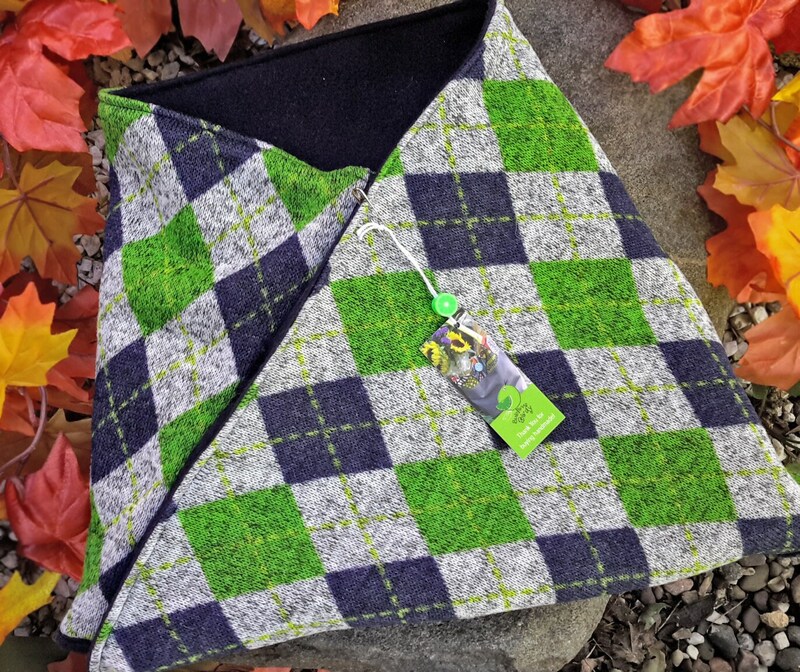 Outer material is a sweater fleece in a gray, kelly green and navy blue argyle print and lined with a matching soft navy fleece, wear it either way!